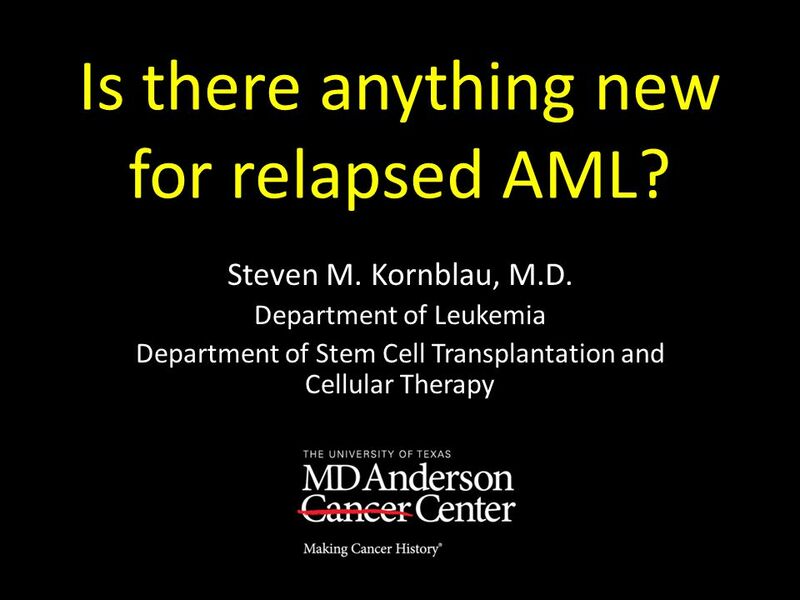 Is there anything new for relapsed AML? 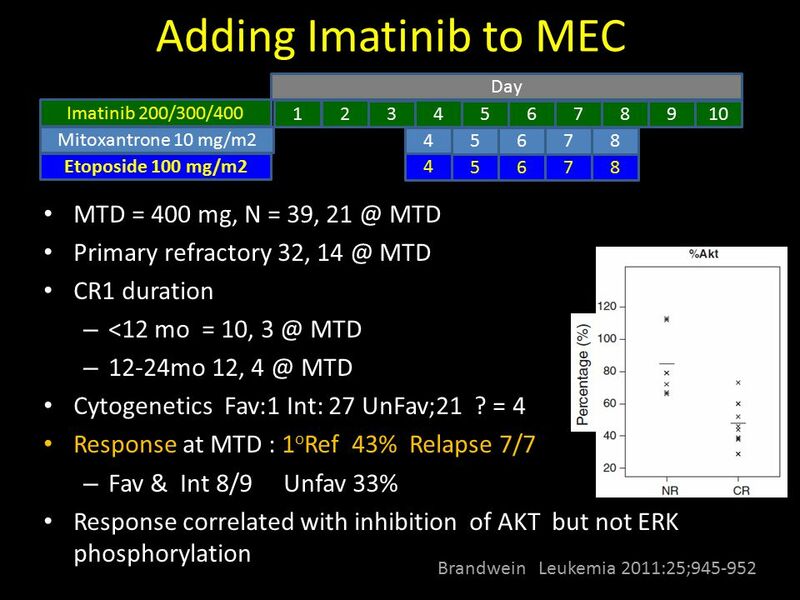 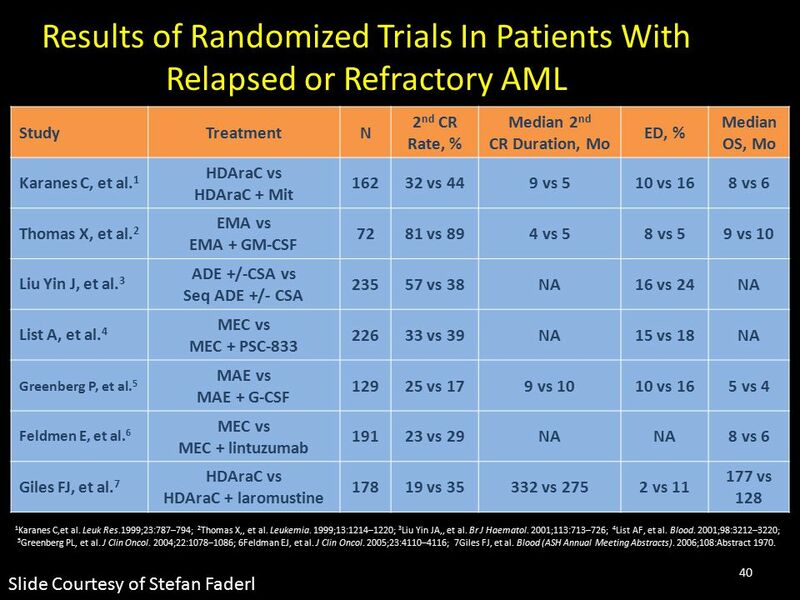 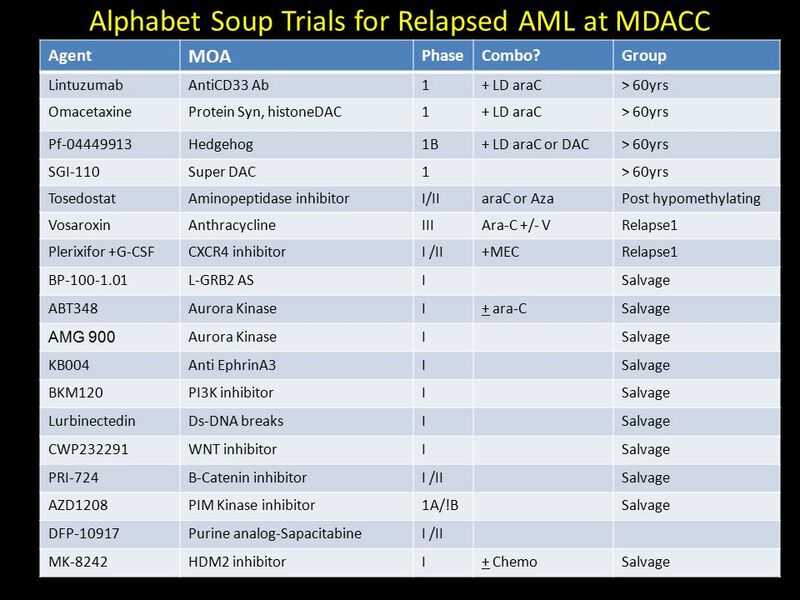 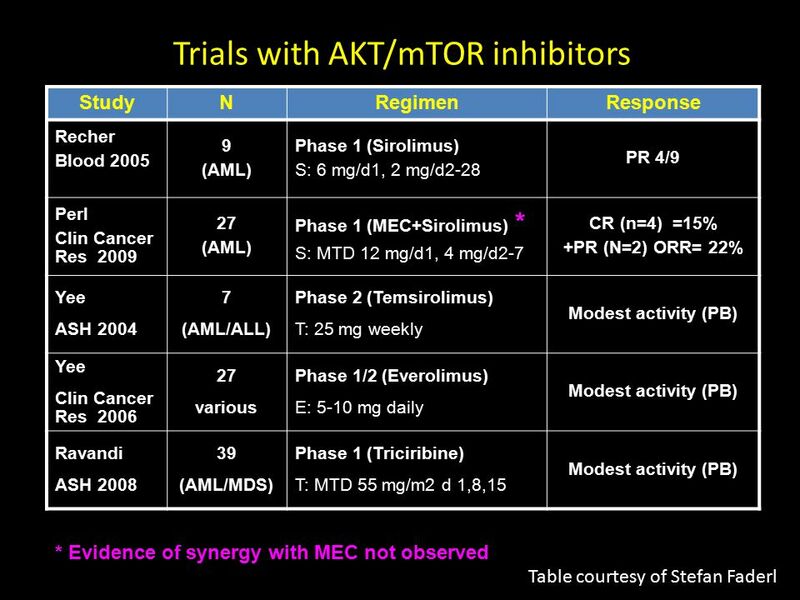 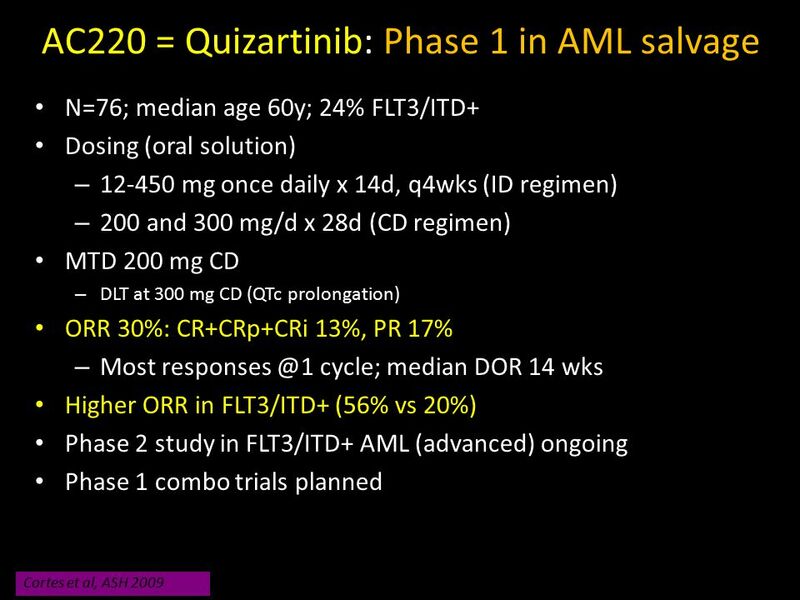 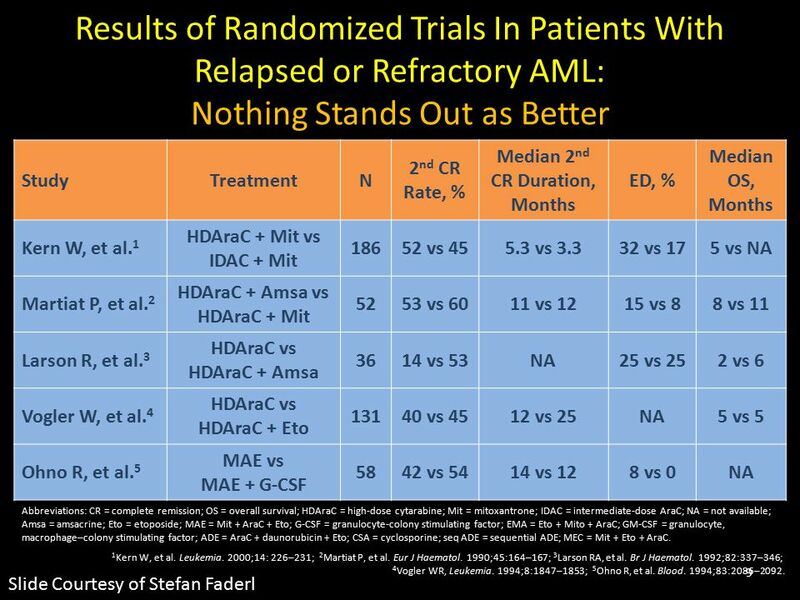 1 Is there anything new for relapsed AML? 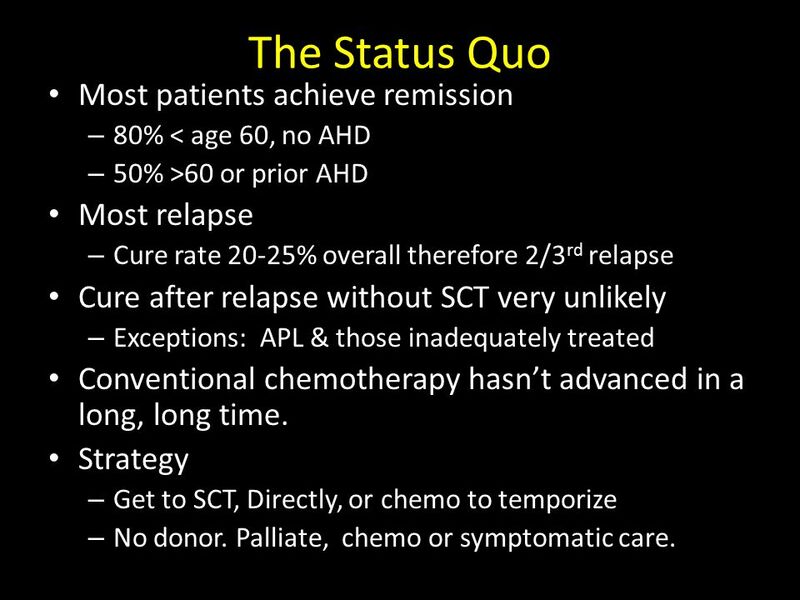 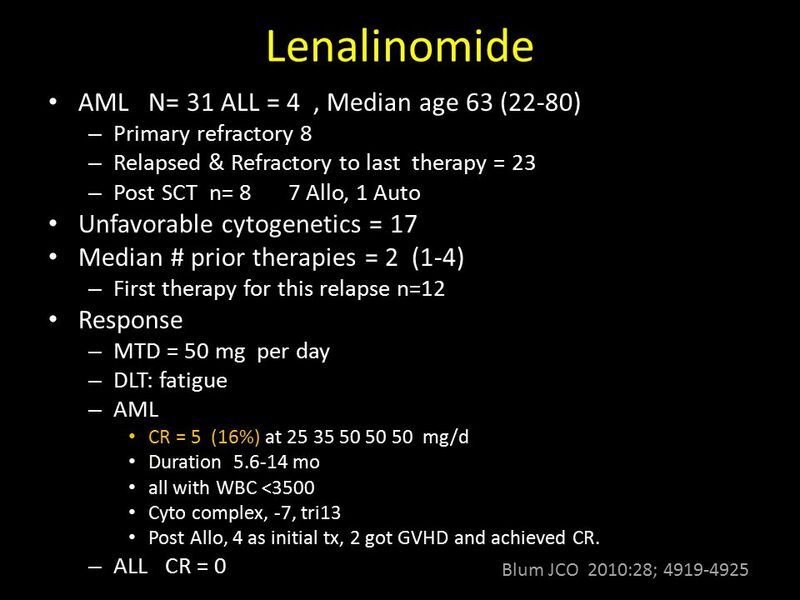 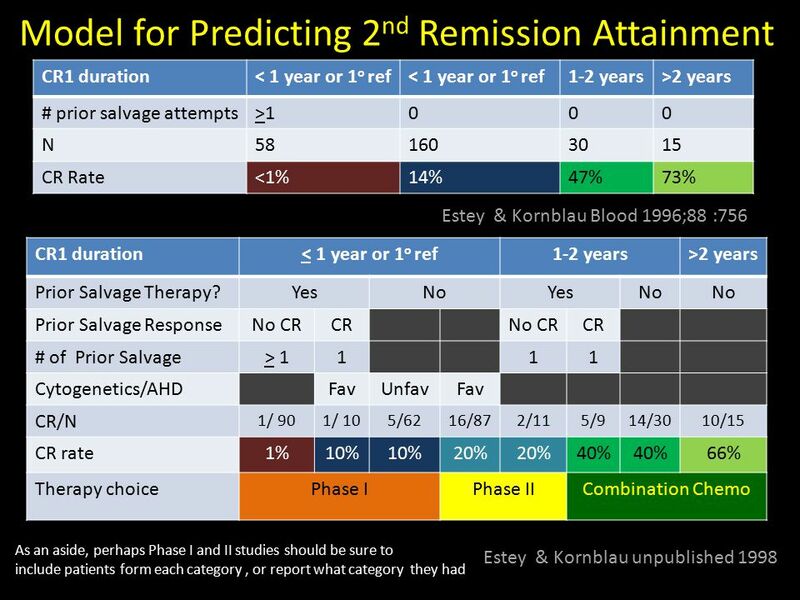 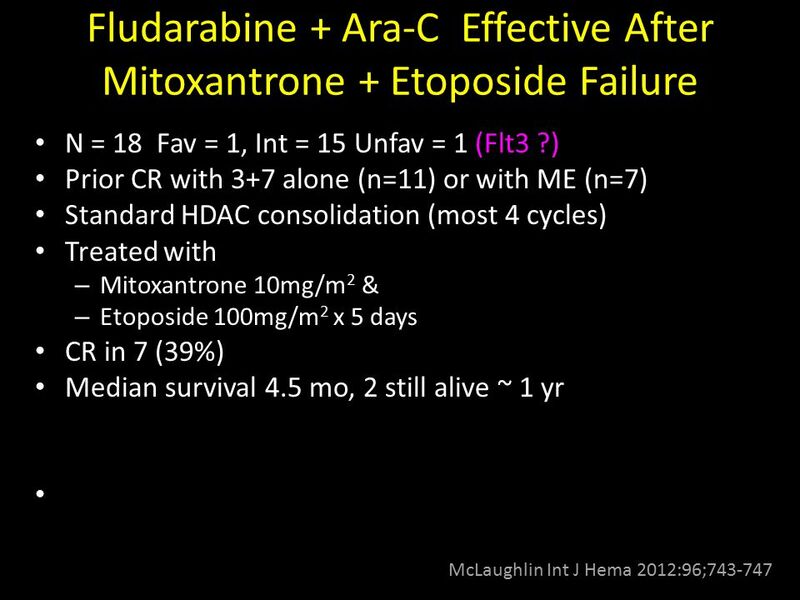 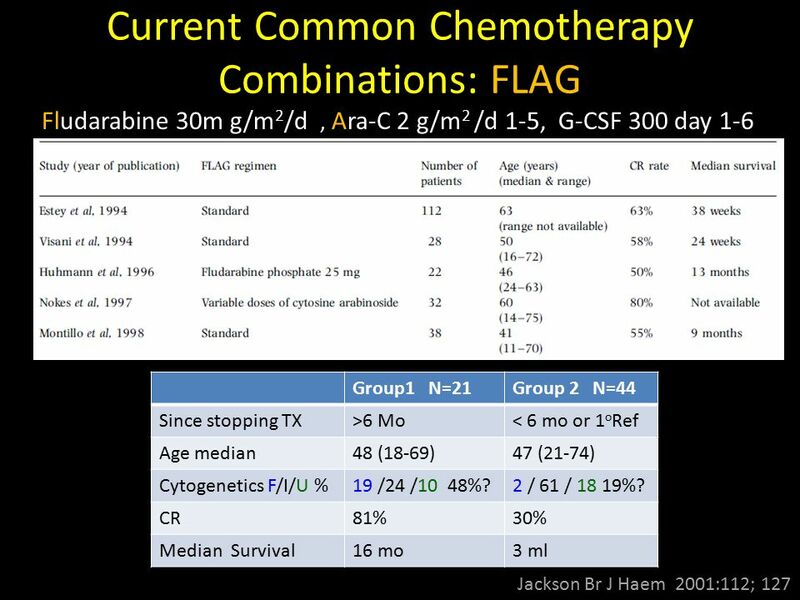 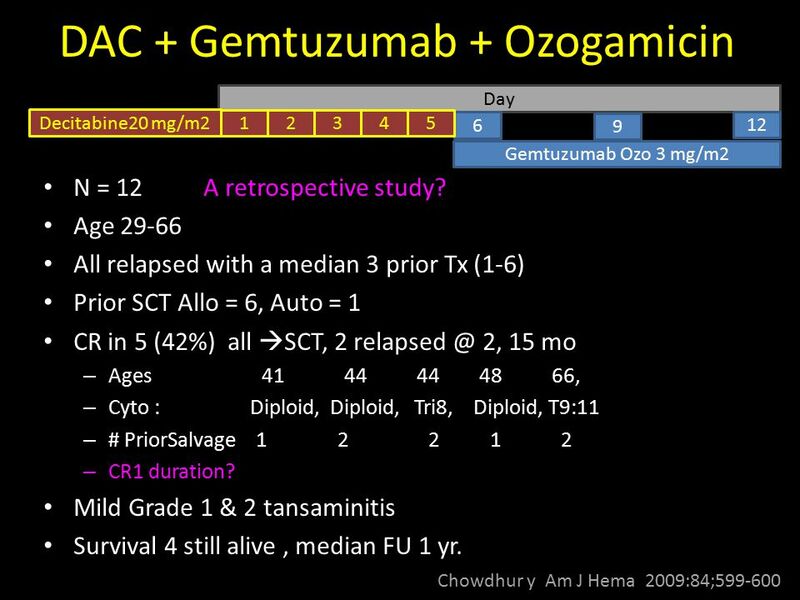 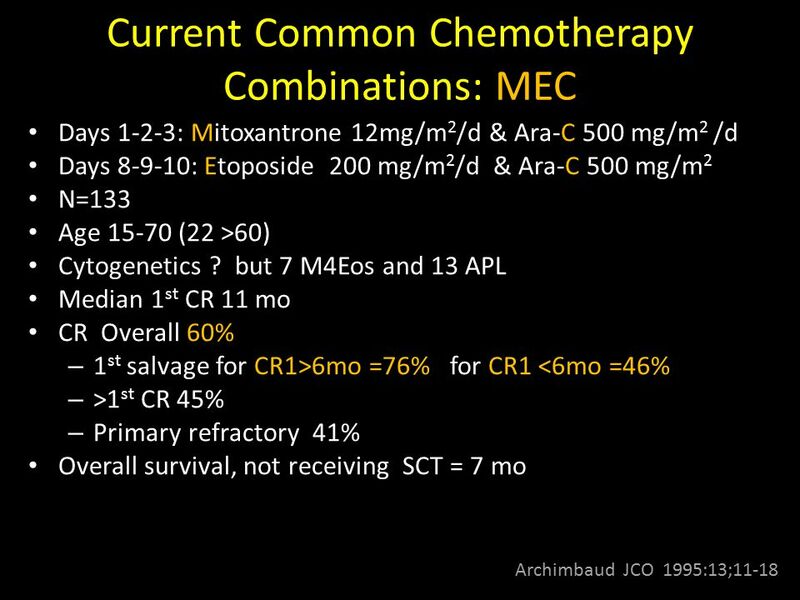 80% < age 60, no AHD 50% >60 or prior AHD Most relapse Cure rate 20-25% overall therefore 2/3rd relapse Cure after relapse without SCT very unlikely Exceptions: APL & those inadequately treated Conventional chemotherapy hasn’t advanced in a long, long time. 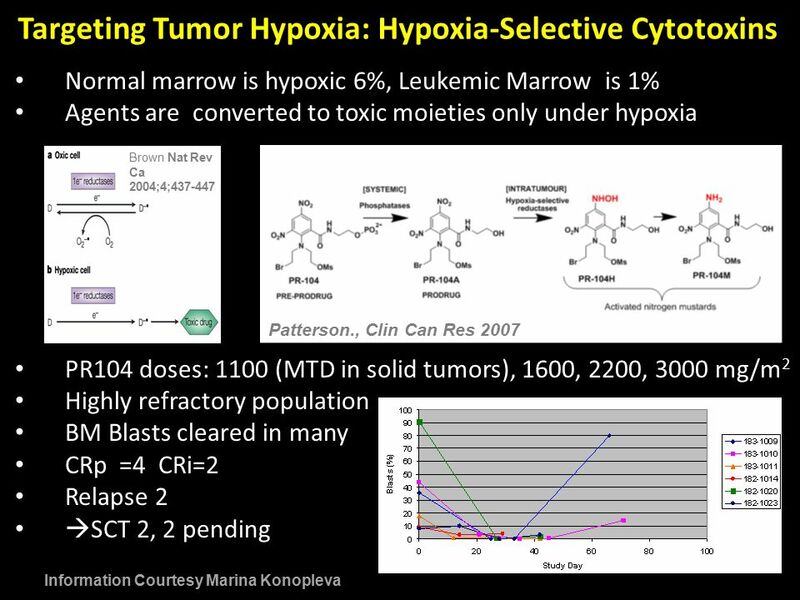 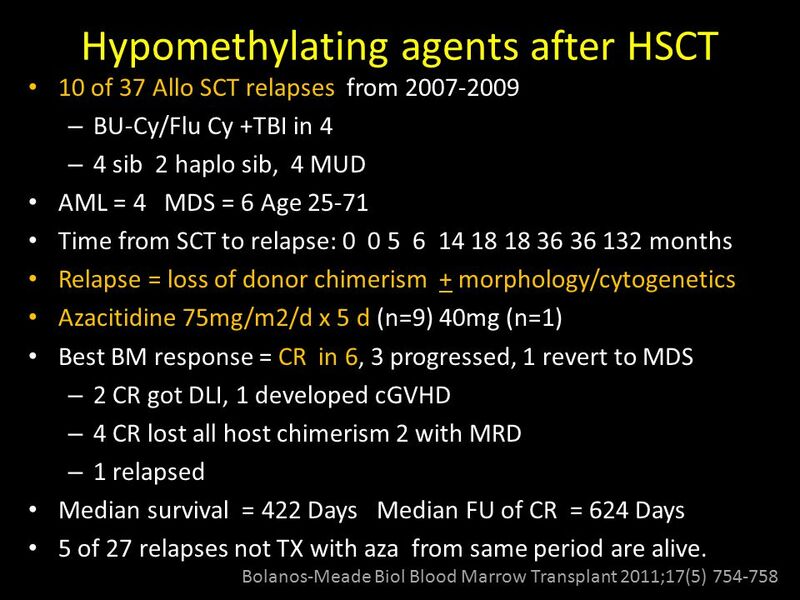 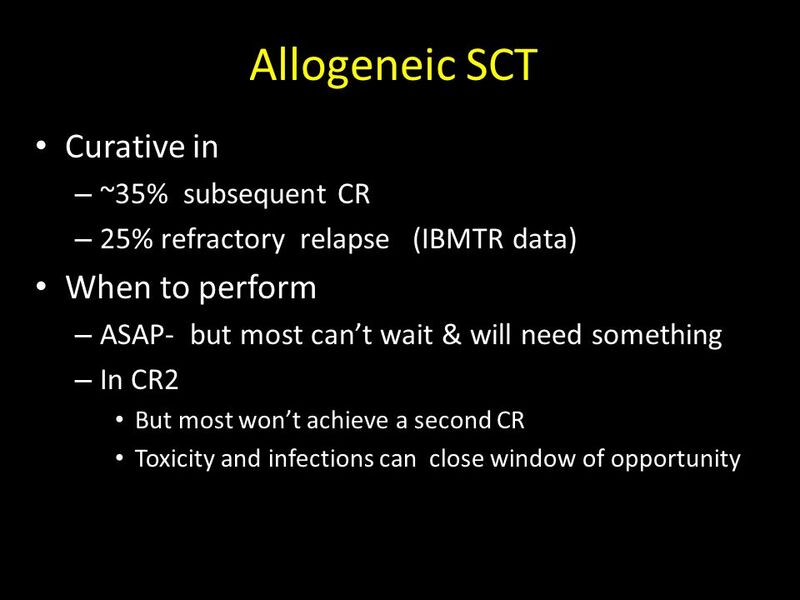 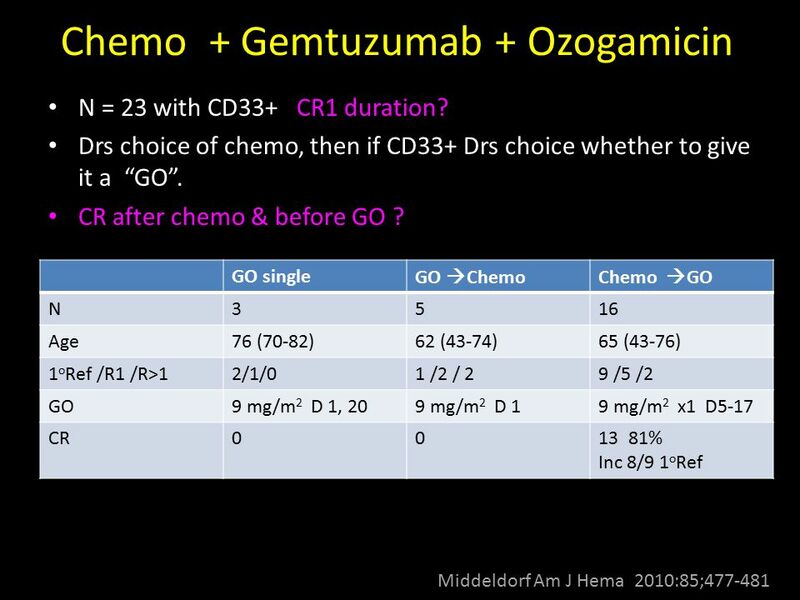 Strategy Get to SCT, Directly, or chemo to temporize No donor. 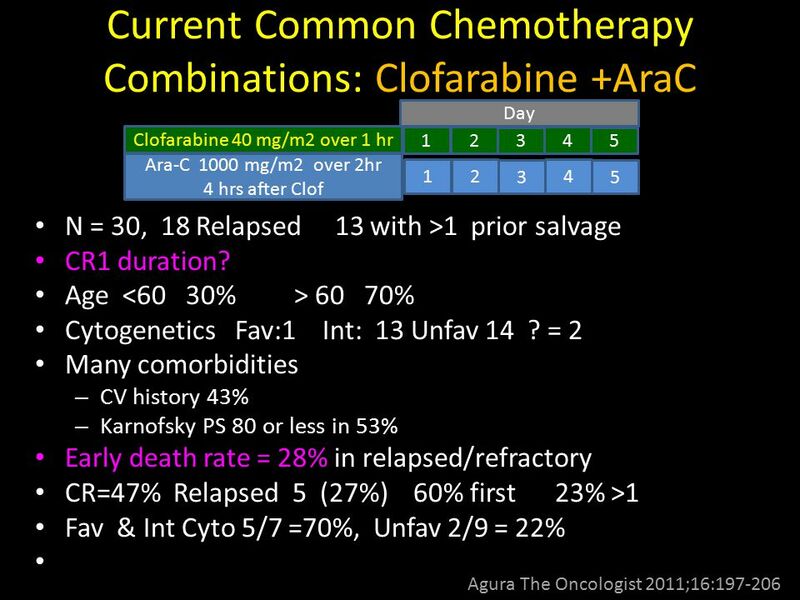 Palliate, chemo or symptomatic care. 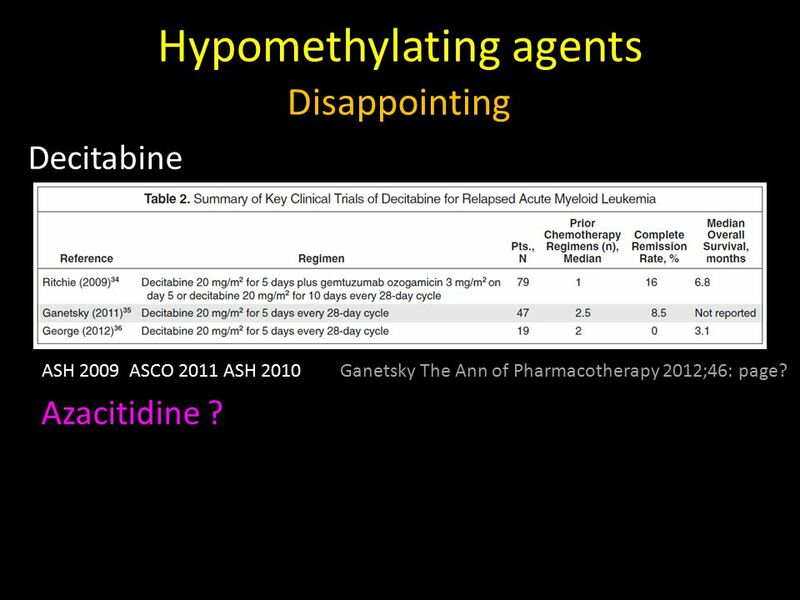 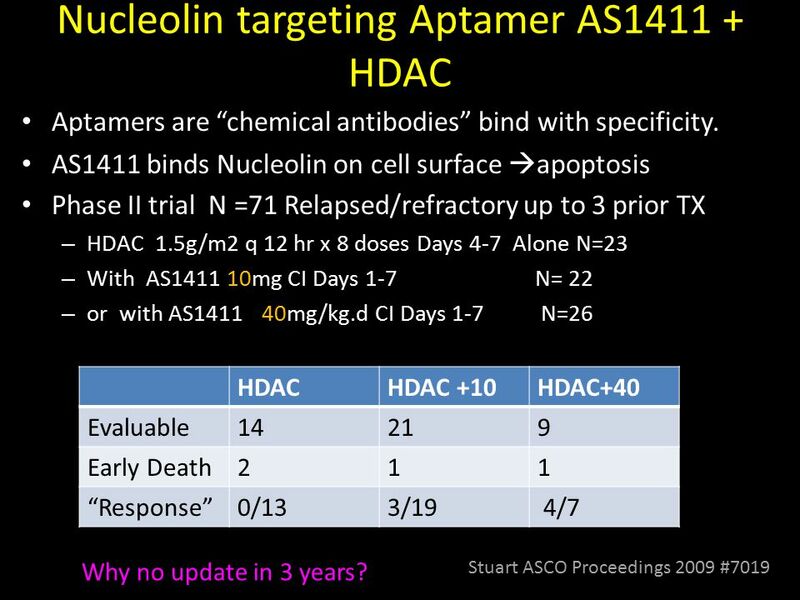 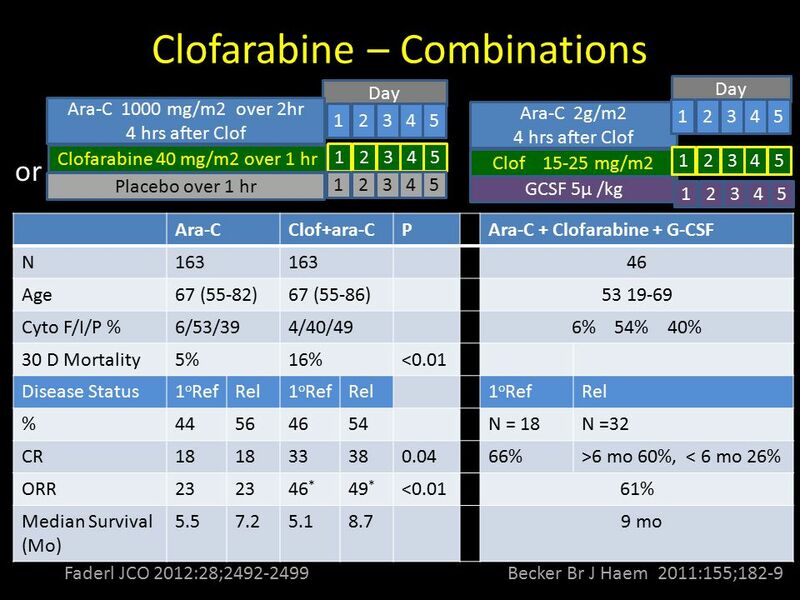 Disappointing Decitabine ASH ASCO 2011 ASH 2010 Ganetsky The Ann of Pharmacotherapy 2012;46: page? 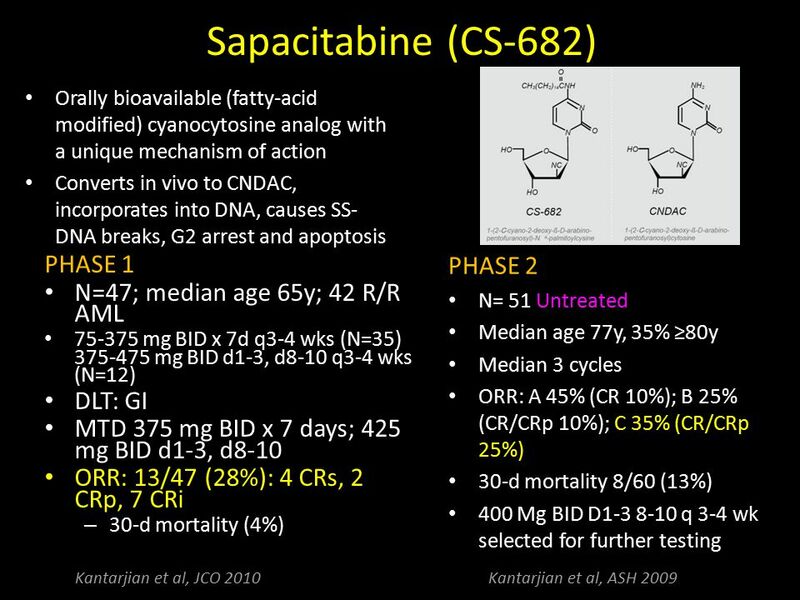 Azacitidine ? 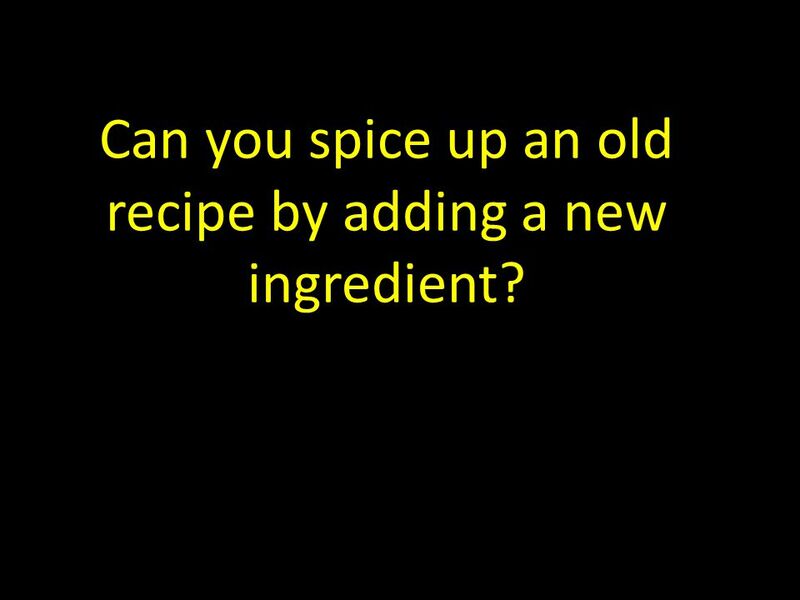 20 Can you spice up an old recipe by adding a new ingredient? 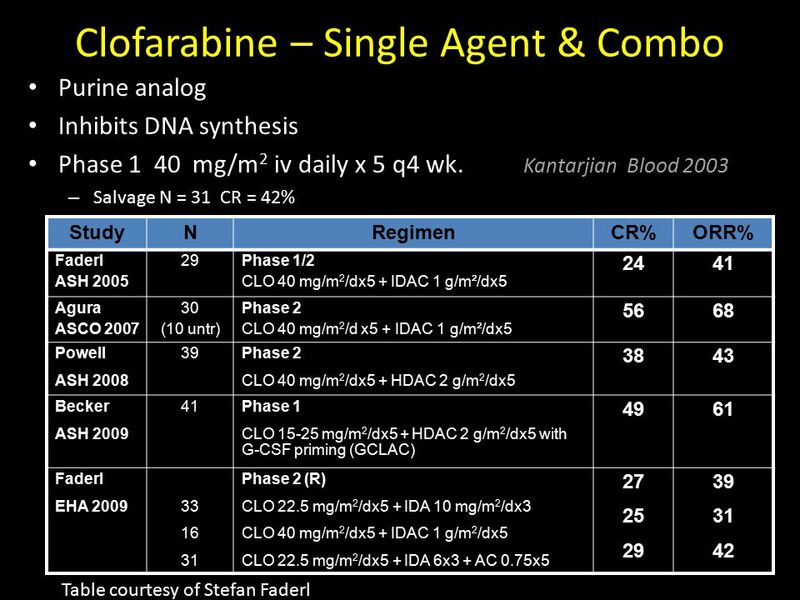 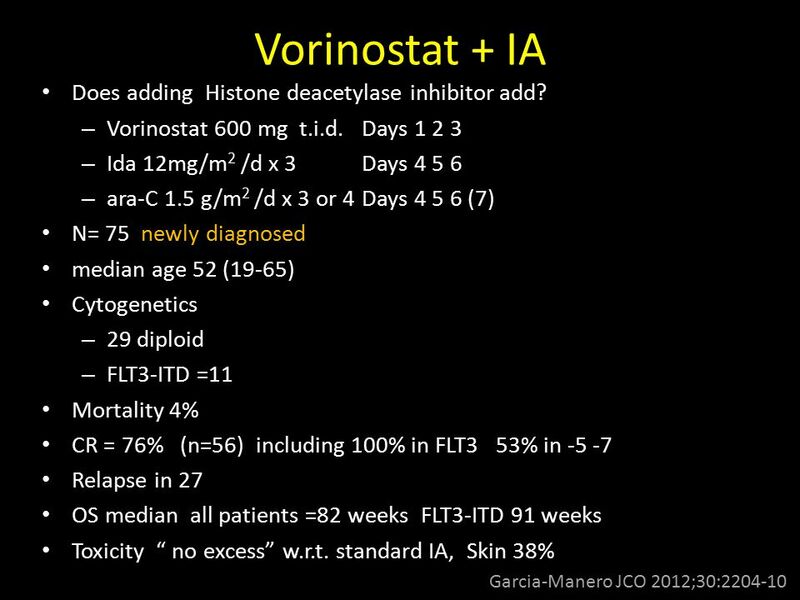 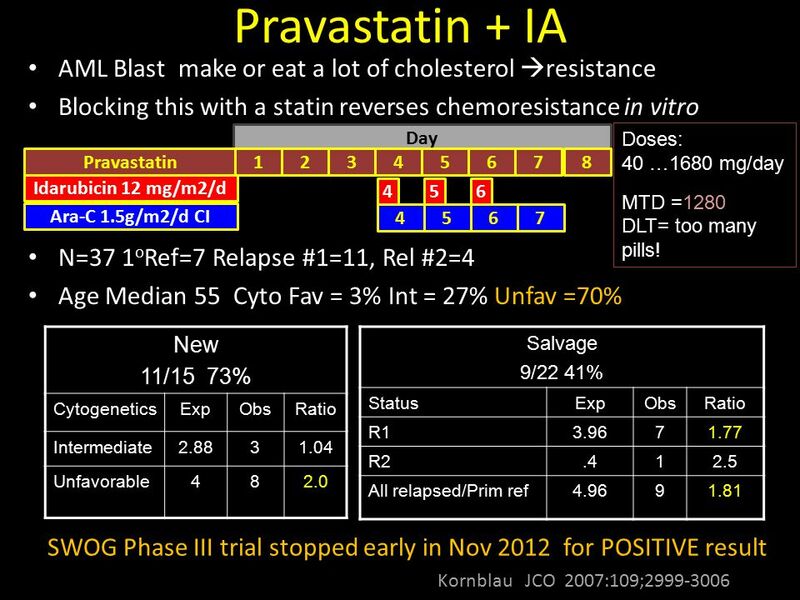 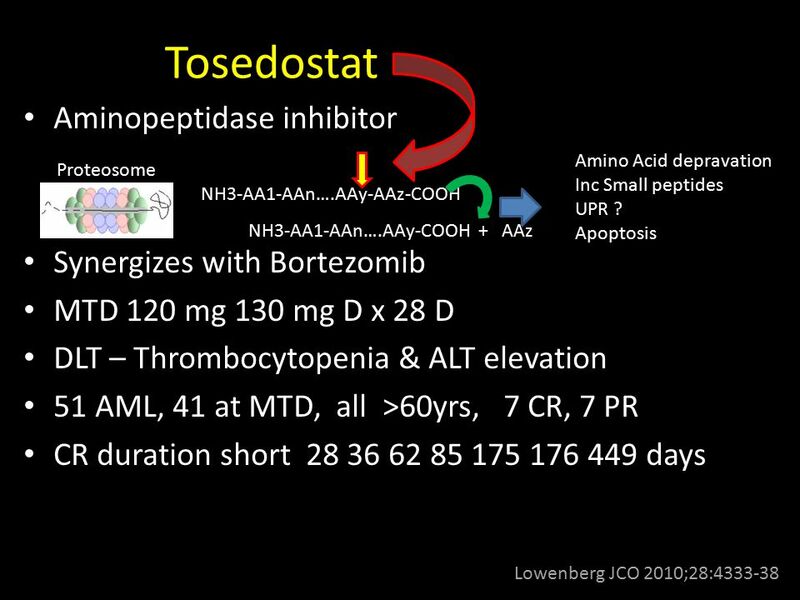 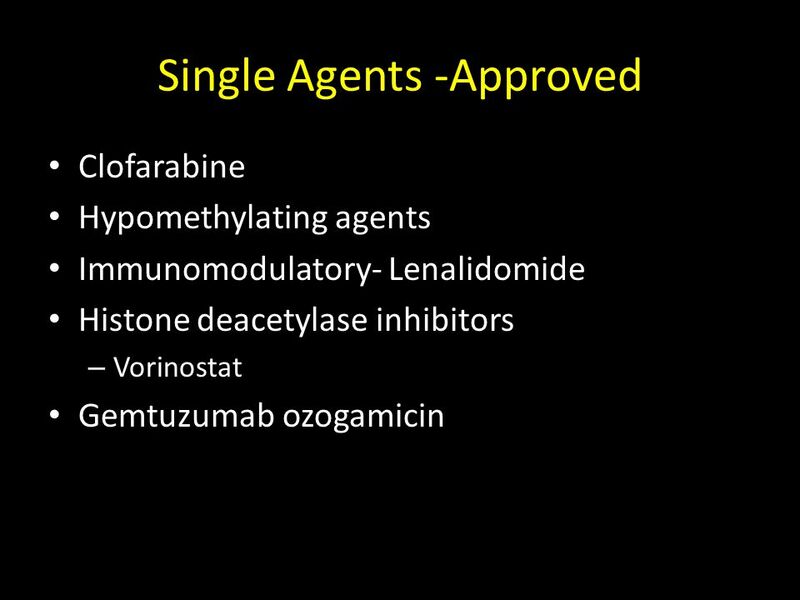 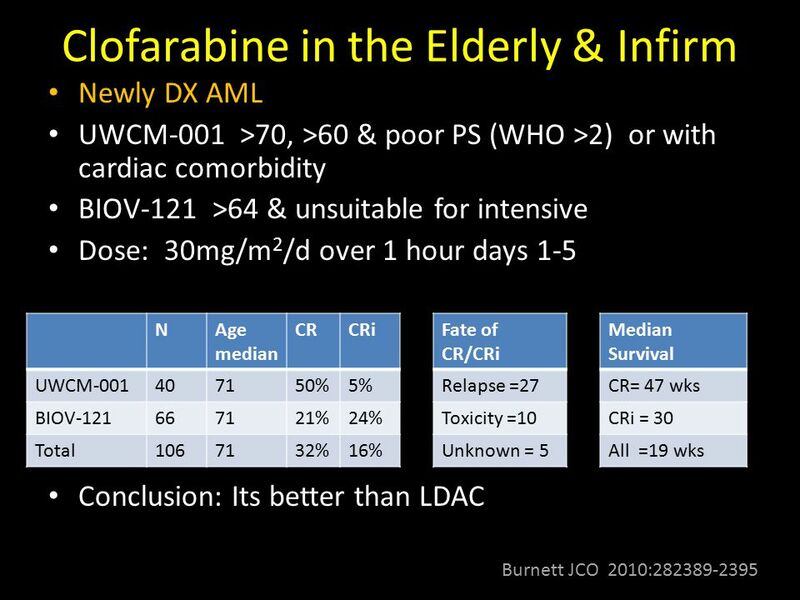 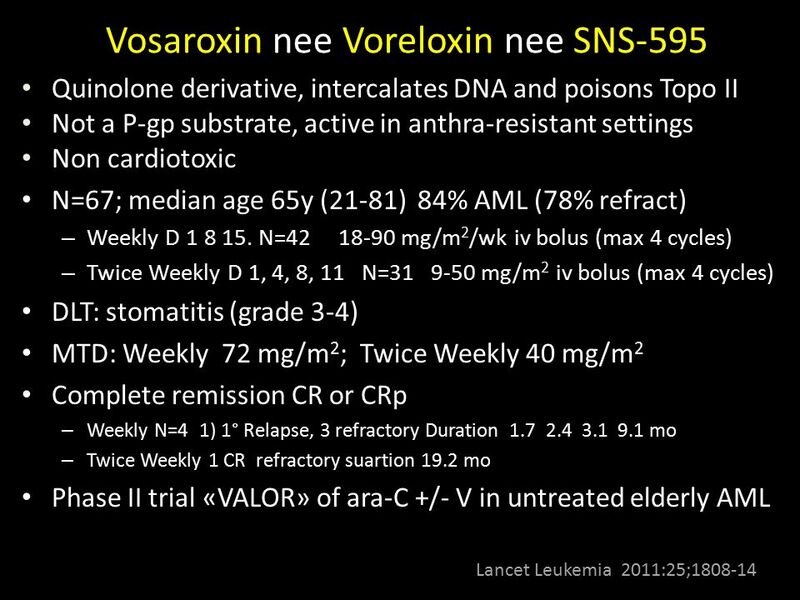 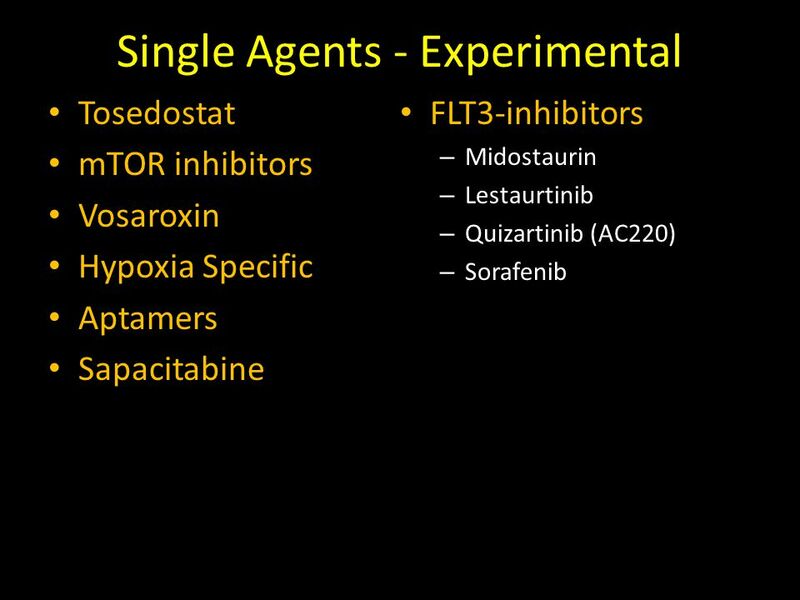 25 Vorinostat + IA Does adding Histone deacetylase inhibitor add? 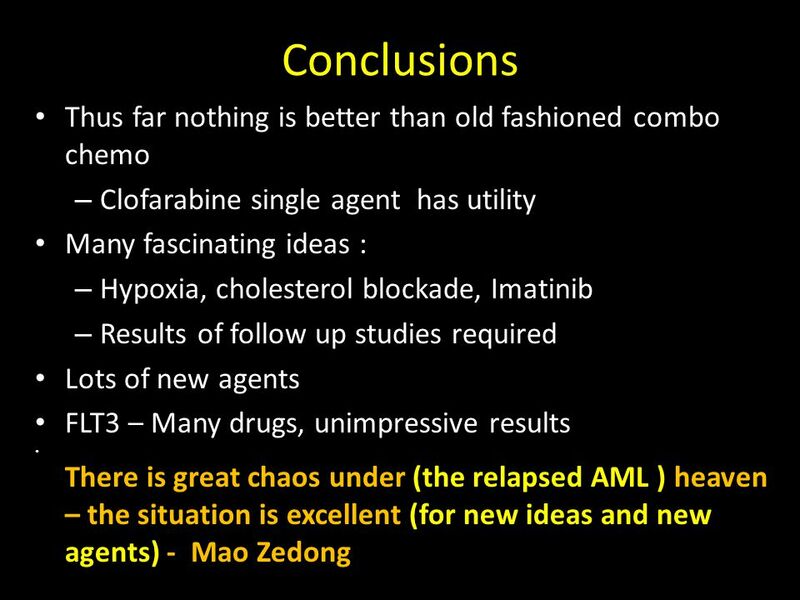 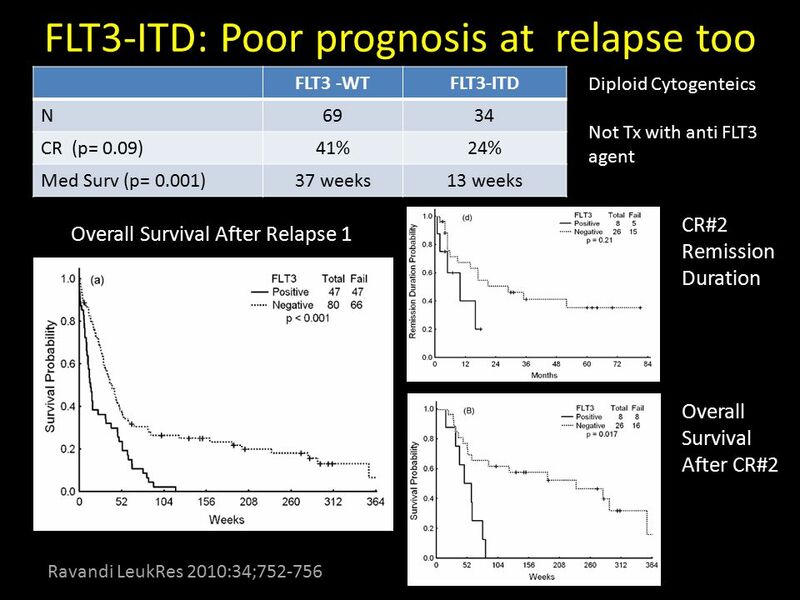 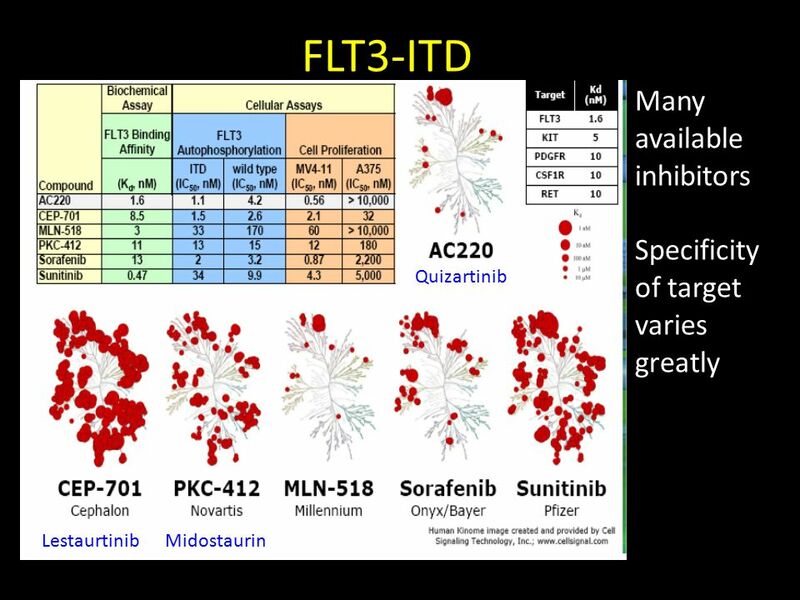 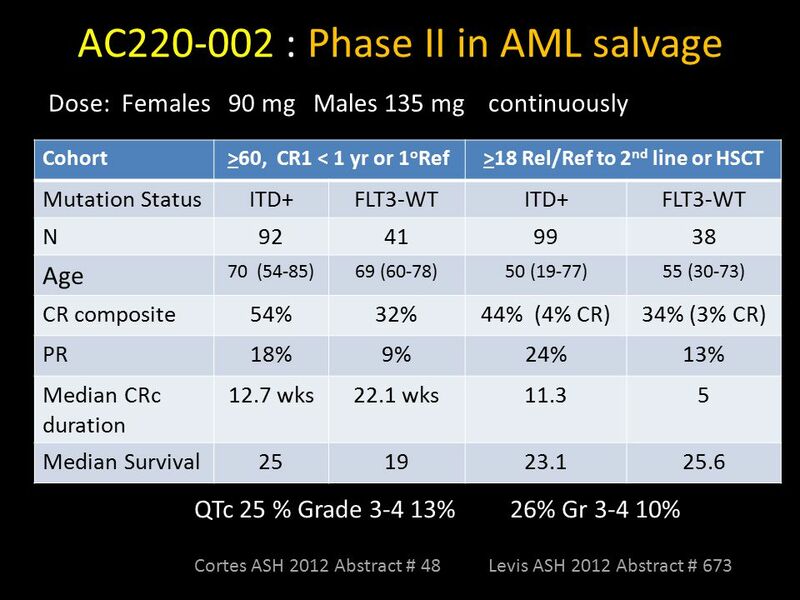 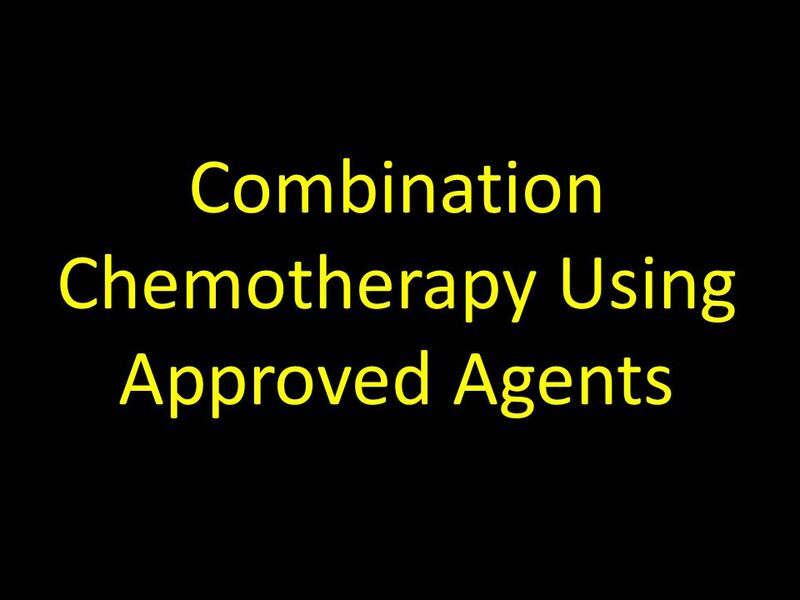 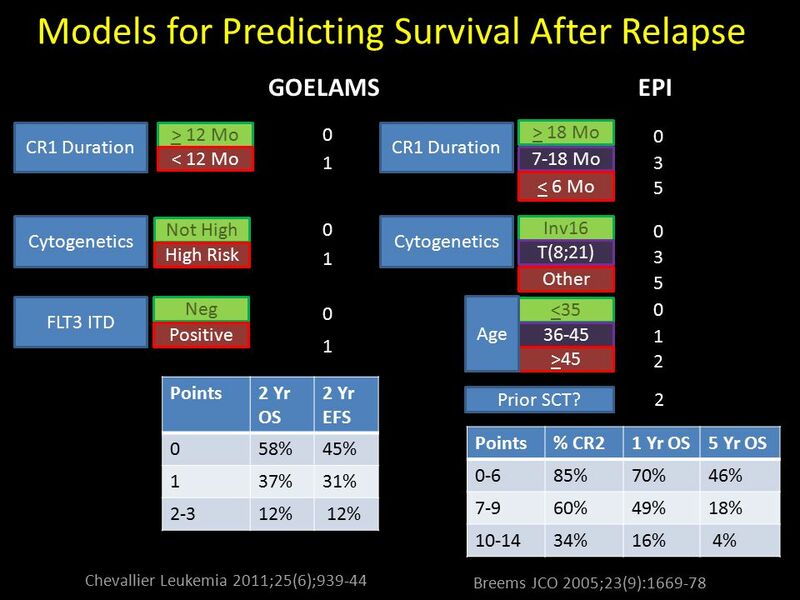 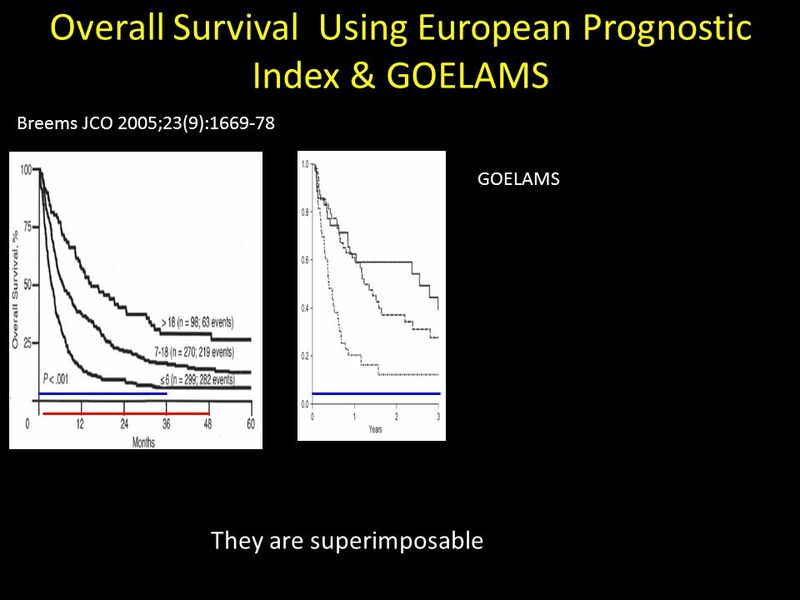 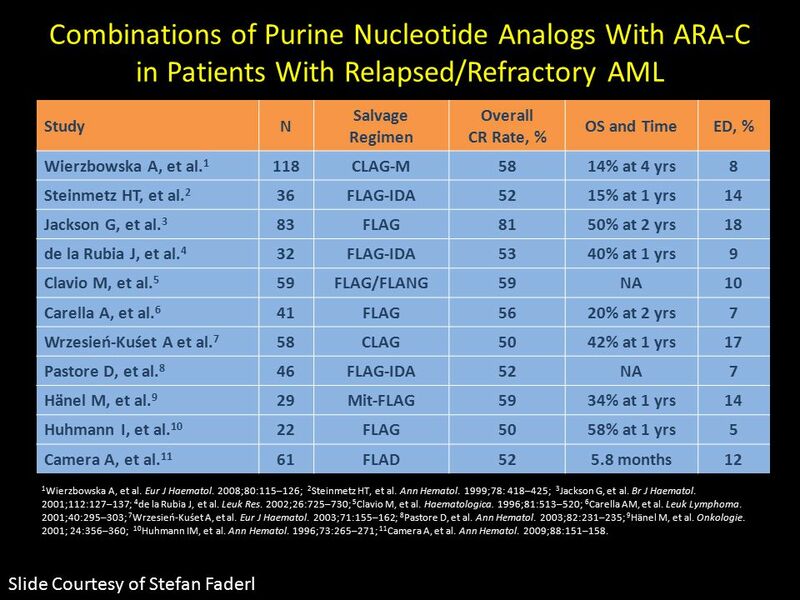 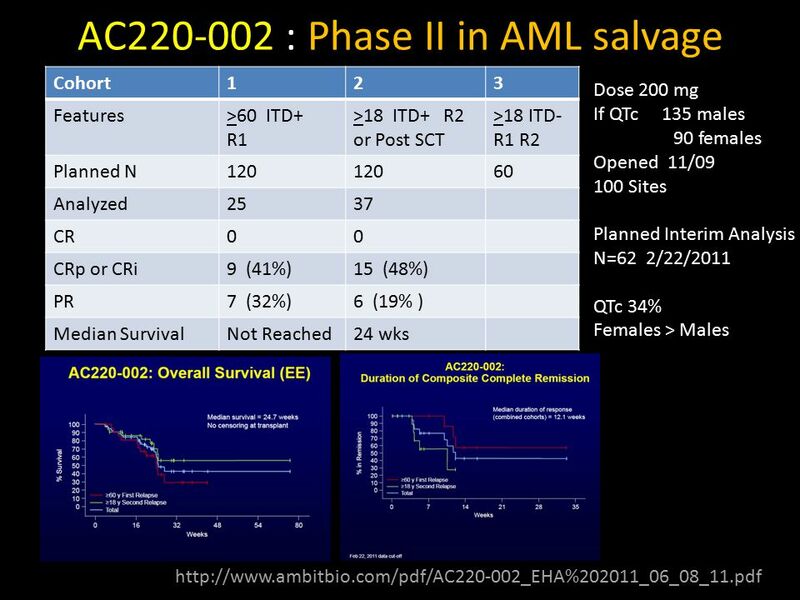 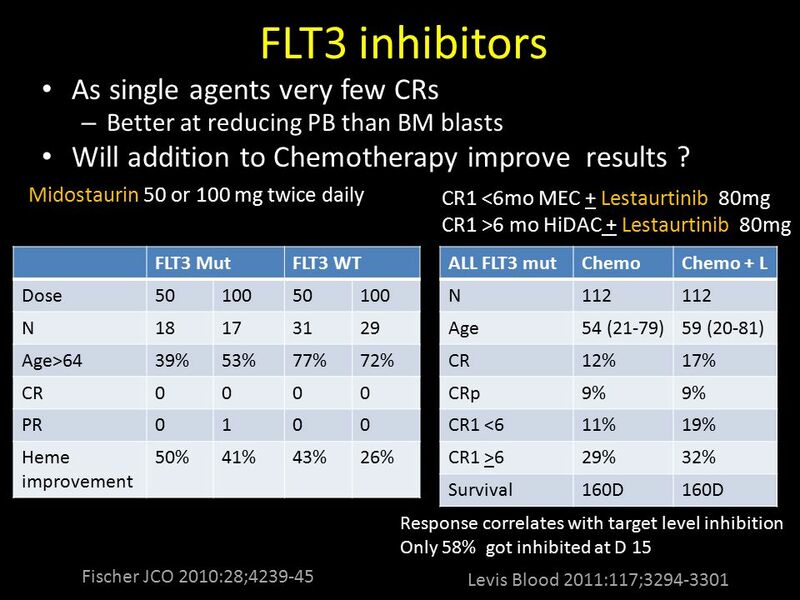 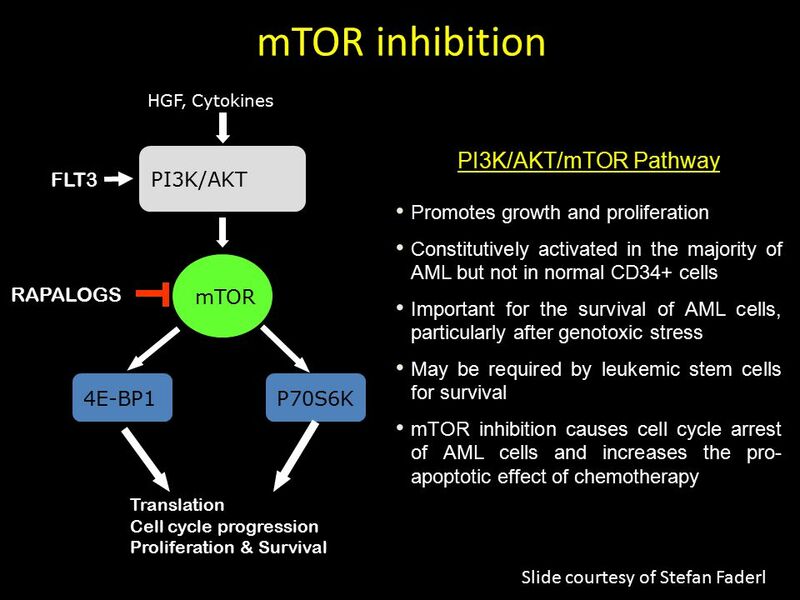 Download ppt "Is there anything new for relapsed AML?"